Paul Christopher is an agent with the CIA. He is most definitely a spy from the old school. 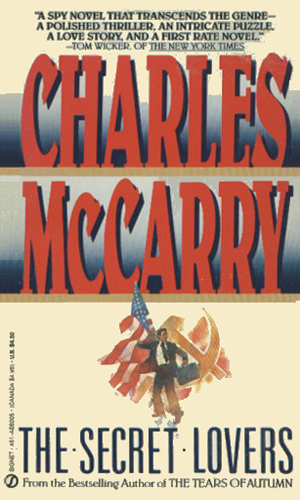 The novels about his life and his career span the years from his service soon after WWII up to the current era. He is urbane and sophisticated, not to mention a published poet who still writes poetry on the side but not for sharing with others. The novels depict a harsh life for those involved in the business, one where those you love become targets if not victims and your ally of yesterday is as likely to abandon you today as kill you tomorrow. Through it all, Christopher becomes one of the best in the intelligence business and learns that being the best has its major downsides. Most haunting about the series is the fact that Christopher's dedication pushes him to learn things the power brokers don't want known and he pays dearly for it as do his friends, his wife, and his lovers. Despite all the subtefuge, intrigue, and back-stabbing that he encounters in the shadowy world in which he works, Christopher manages to maintain an even keel, probably his poet nature sustaining him but that does not mean that he isn't affected. It just means that he has decided what he was meant to do in this world and doing it the best he can is the only way he knows how to operate. The author takes a couple of side trips in the series. 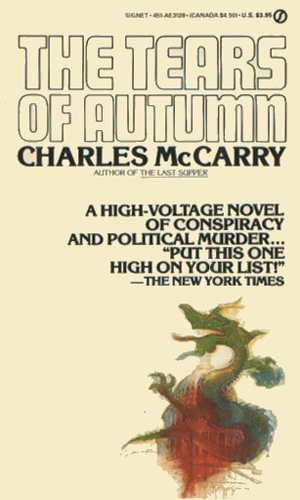 Many lists of his books do not include them as in the Christopher series. I do because they relate to cousins of the main character who have an impact on his life. While he is not involved in these two books, he is affected. 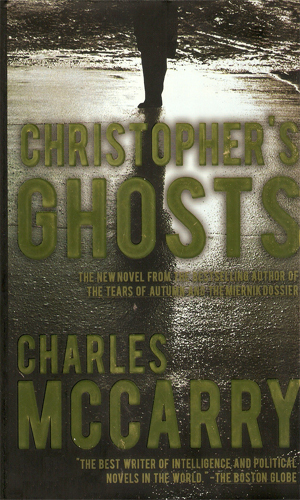 Lastly, the final book takes a huge turn when it talks about an event that happened when Christopher was a young adult and how it would keep having an affect for the next fifty years. Told through a series of wiretaps, recordings, memoranda, and official reports, the adventure details the events surrounding a man named Miernik and the fears he has of the KGB and possibly the CIA. Paul Christopher was angry that the assignment forced him to let a fellow agent die but the secrets they learned were deadly in themselves. He soon finds himself investigating the JFK assassination. The document smuggled out of the Soviet Union was the most devastating news in years and worth the deaths of anyone touching it. Paul Christopher's contact in Berlin died over it. He was just the first and a secret plot is brewing deep inside the Agency. This is the first of two books concerning cousins of Paul Christopher who learn a great secret that will allow them to steal the Presidential election. A confusing novel that describes the actions of Paul Christopher's parents, who were also spies before WWII, and the events that lead to Christopher's imprisonment in China for ten years. Recently released from prison in China and having just learned he has a daughter from his estranged wife, Paul Christopher is not interested in returning to the spy game but is forced to. Agents are being drained of their secrets without their knowing it. 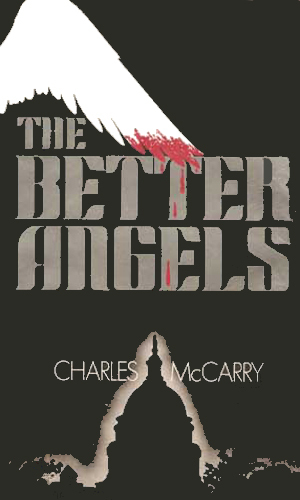 A sequel to "The Better Angels", the President is under investigation for rigging the election and faces certain impeachment, all being manipulated by Paul Christopher's angry cousins. Now in his early 70's but still remarkably fit, Paul Christopher suddenly disappears. When some months later his ashes are turned over by Chinese officials, his old friends refuse to believe he is dead and start digging into his life and possible death. In a decades-sweeping tale, this story depicts a young Christopher who, surviving in Berlin during the rise of the Nazis, witnesses an atrocity by a S.S. officer. For many years that officer has sought to remove the one witness who could bring him to justice. I didn't care for the chaotic nature of the first book. I admittedly got lost in the confusion of the second. The third was far too tragic for my taste. The fourth was fascinating but chilling. The fifth jumped around too much. The sixth was great. The seventh was out of place in the series but still darned good. The eighth was the best. 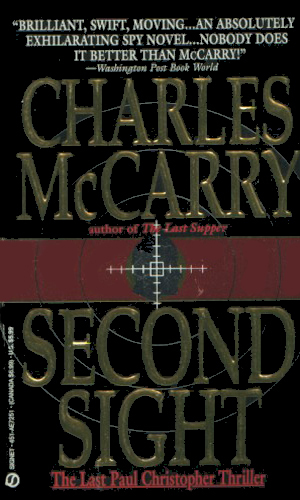 Still, there is a huge difference betwen books that I personally didn't care for and books that aren't good spy novels. 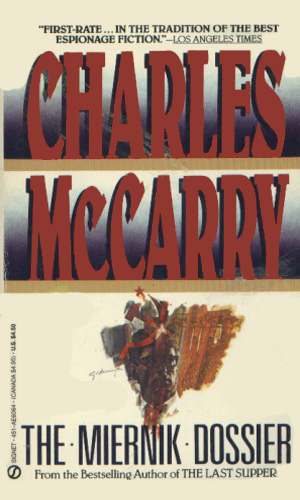 I definitely believe that the books by Mr. McCarry are very good espionage tales. 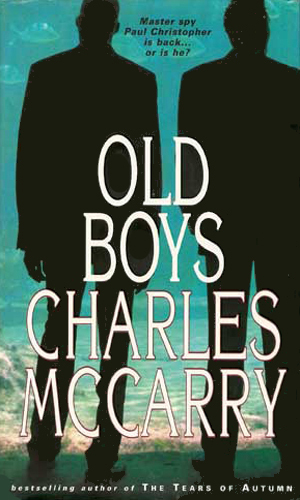 He captures the coldness and loneliness of the agent's life with great skill and incredible writing. For that he gets a good grade overall. I just wished I liked it more. 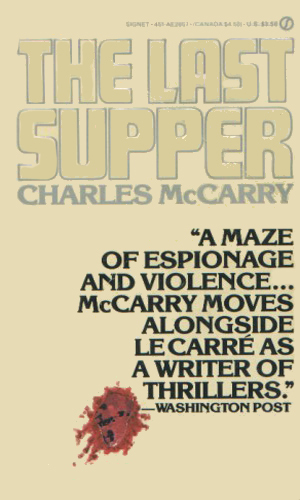 The best spy novels ever written. Period. 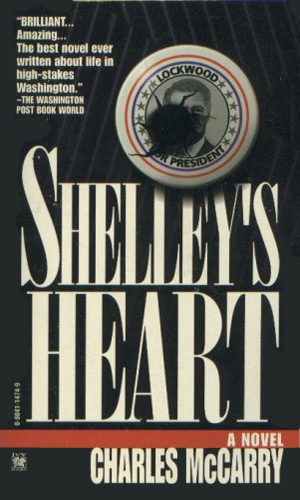 The correct title is: SHELLEY'S HEART, with an E. Cheers! These are very, very good. McCarty is without doubt one of the best. Why he is not more widely known is a mystery to me. I would suggest that these are more cerebral than action oriented with amazing character development and attention to detail. Highly recommended.